Understanding the basic elements of everyday label terminology. Facestock is the part of the label material that gets printed. Common pressure sensitive label stocks are paper, film, and foil. 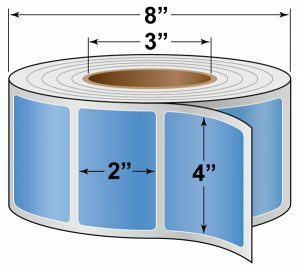 Adhesive is the sticky part of a label that easily peels away from the liner for easy application to your container, box or product. The most common adhesives are all temperature, freezer temperature, permanent, hi-tack permanent, removable and ultra-removable. Liner is also called the backing of the facestock. It is special coated to allow your labels to be removed easily. 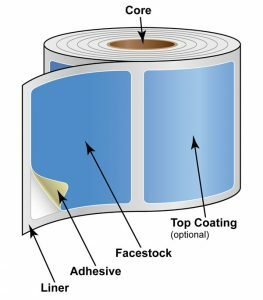 Top Coating is an optional protective layer applied to your labels. Gloss and matte coatings are applied and use for label protection and design elements. Core is the sturdy center of a label roll. Just like when you reach the ending of a roll of toilet paper. Depending if you are hand or machine applying your labels the core size matters. Based on the label equipment being used, will be either order 1-inch or 3-inch core diameter. If you are hand applying your labels with no machine assistance you can order any size core or no core at all. Measure the outside diameter size of each label roll to calculate your O.D. This is critical for machine application because each machine works differently. Your equipment manufacturer will have the exact specifications. When you are using a machine to place your labels on any container the way the label comes off the roll is very important. This is called the Rewind Direction. The chart below shows how you can request the way you want your label to be ordered. 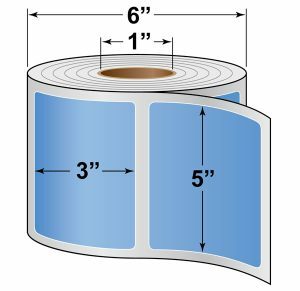 The “Rewind Direction” is the way the label printing is as you unroll your labels when applying.There are 8 possible rewind directions that labels can be wound to go onto the final roll. Hand Applying – If you are a right handed person the most common rewind is #2 or #3. If you are a left handed person rewind position #4 seems to work best. 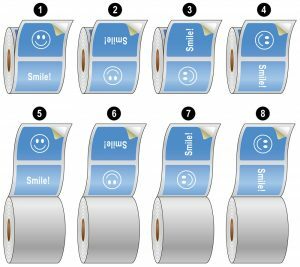 Semi-Automatic and Machine Applied Labels – The rewind direction will be from 1 through 8 based on the equipment you are using. Don’t forget about the core size. Label shapes can be made in any size or have a specific corner radius. We carry many steel cutting dies that fit your needs, but sometimes we have to make a new one. When you make a new die our standard corner radius is 1/8″ but you have options. 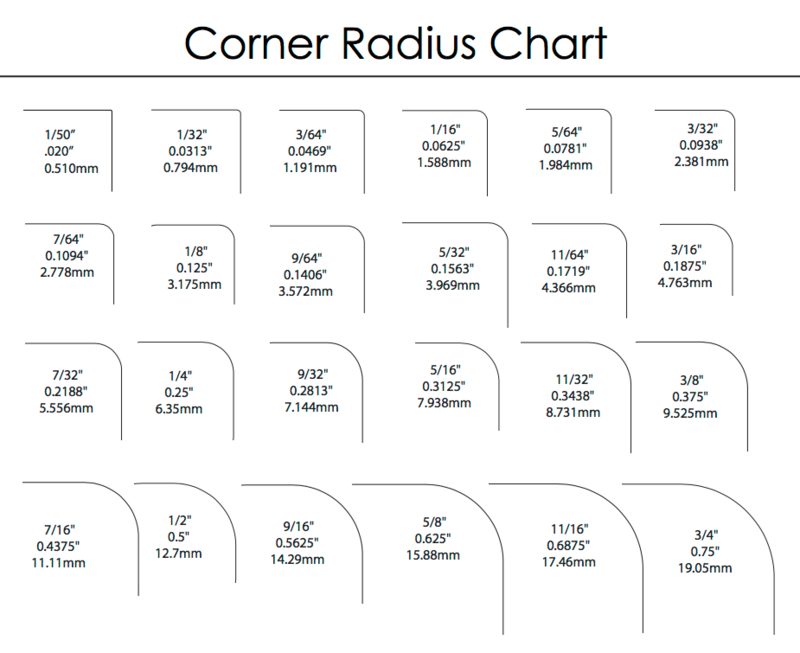 Please review the chart below and we can discuss the pros and cons of selecting a different corner radius.